Suitable for most Manual and DCC CMMs. Larger Units are available to accommodate larger volume of airflow on larger CMMs. 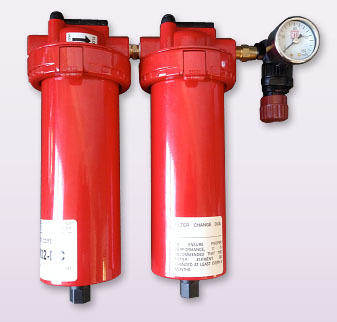 Filter / Regulator Kits & Membrane Dryers are available also. Size: 12″ x 14″ x 17″ 46 Lbs. Suitable for most Manual and DCC CMMs. Larger Units are available to accommodate larger volume of airflow on larger CMMs. 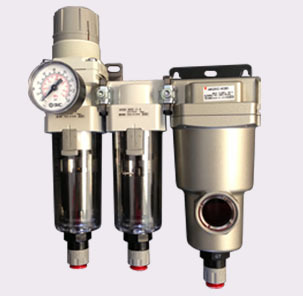 Filter / Regulator Kits & Membrane Dryers are available also. *Suitable for All Manual and DCC CMMs. Can handle up to 60 SCFM. 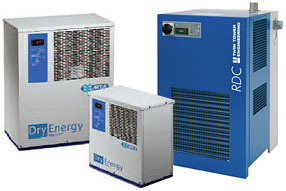 Refrigerated Air dryers or Membrane Dryers are available also. Please call for more info. *Suitable for most Manual and DCC CMMs. Can be customized to accommodate larger volume of airflow on larger CMMs. 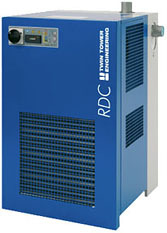 Air dryers or Membrane Dryers are available also. CMM Technology will gladly quote a complete airline change for your CMM. Brittleness from age, oil, dirt, water and kinking may result in the need for a partial or complete airline replacement. Below is a list of available airline sizes for most CMMs and you may want to buy a small quantity for simple patching. Many airlines are weaved throughout the CMM frame to the bearings and these bearings may need to be moved or removed to complete this work. Only a certified CMM repair company should attempt to replace these small lines throughout the CMM. In some cases we may require a service call prior to quoting an airline change if we feel the air bearings may be clogged or damaged. Complete airline changes will require a re-calibration of your CMM which is our main service provided. It is very possible you may make a standard calibration very difficult and more costly by attempting to replace the airlines yourself. 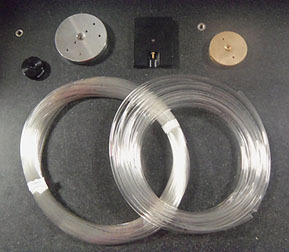 We use Flexible Clear Polyurethane Tubing for all airline replacements. If kept clean and dry these should last throughout the life of the CMM.